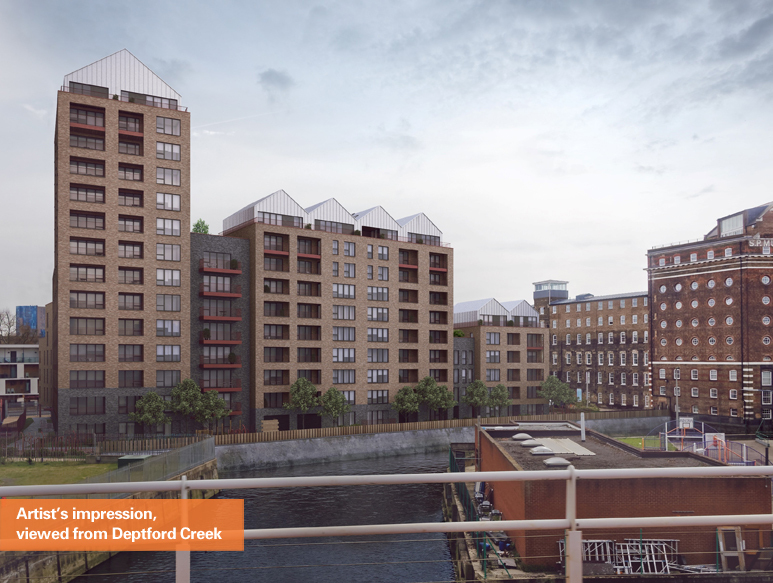 Plans have been submitted for yet another development on Deptford Creek. This one is on the Greenwich side at Saxon Wharf facing Norman Road on a skip storage site. Housing Association Notting Hill Genesis are behind the plan. If they sounds sort of familiar it’s because Housing Associations Notting Hill and Genesis very recently merged. For a Housing Association the allocated “affordable” numbers are low at 35% which includes shared ownership. 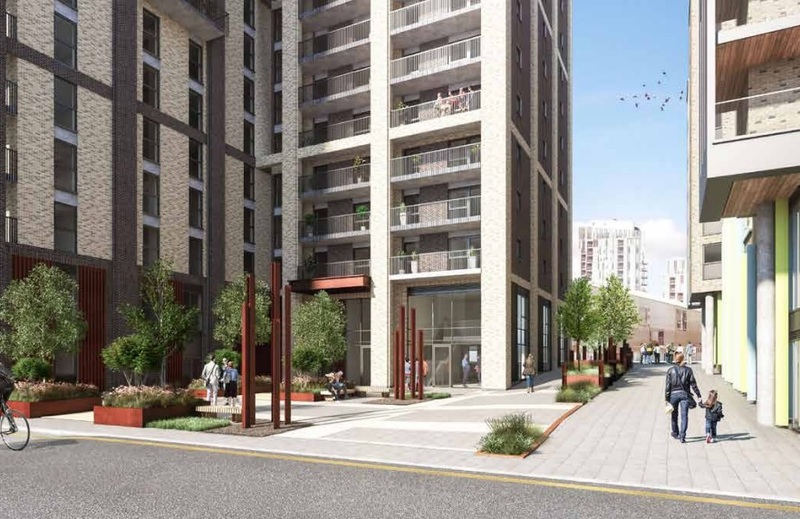 Shared ownership is often a wheeze whereby buyers pay for, say, a 25% of a stake of a new home when a similar outlay would have bought 100% 20 years ago before house prices went into the stratosphere, pushed along by central government. The rest of the “affordable” element (69% of the overall 35%) is “London Affordable Rent” at around 65% of “market” rents (though there’s so much intervention housing can hardly be called a market) instead of around 50% for social rent. Got that? No? I don’t blame you. It’s a mess. The design will not exactly set pulses racing. It’s yet another box. On the bright side there’s no grey plastic-like cladding. Grateful for small mercies I suppose. The horizontal bands on facades emphasise how fat the blocks are. The view from the other side of the creek is incredibly dull. In fact the more I see this development from other angles the worse it gets. The lack of fenestration and snooze-worthy, lumpy proportions look so very poor from this view. Being generous, I’ll say that close-up renders look better and these renders from a distance are low-res. Thames Water are currently using a site for Thames Tideway tunneling. In time it’ll become housing and hopefully exhibit some more flair than this to distract attention, which won’t be hard. 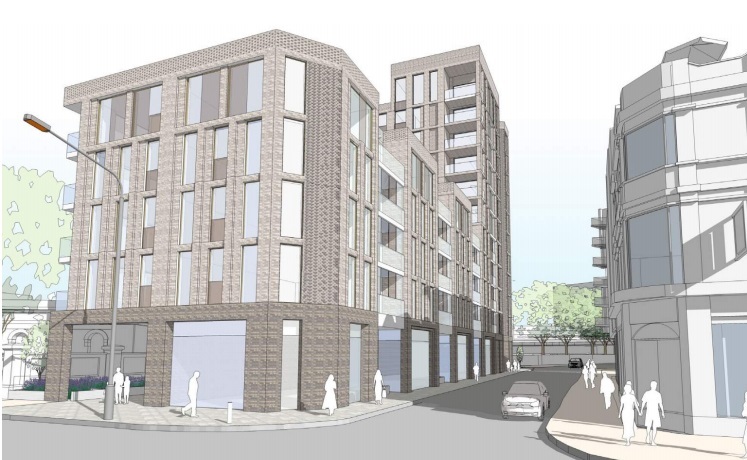 On the bright side the GLA recommended active frontages at ground floor level and a public space where Tarves Way meets Norman Road. 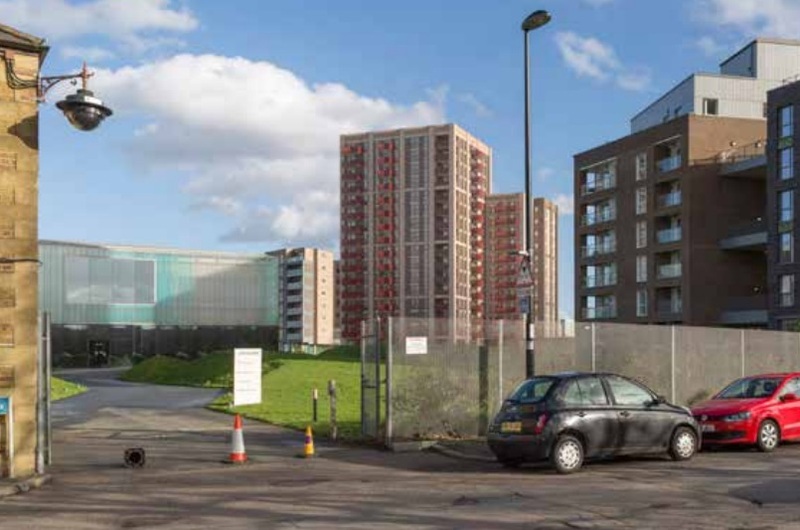 It’s the latest in a long line of developments in the area which have been covered on this site. 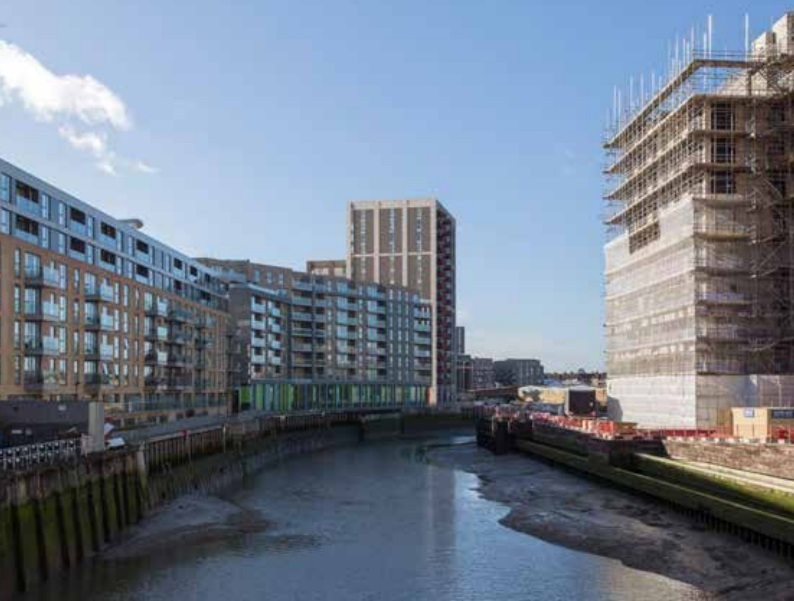 There’s the current 22-storey tower approaching completion from Essential Living, a 30-storey proposal beside Trinity Laban, Hope Wharf (one of the few that isn’t a box) and others such as Sun Wharf. It’s another development in the area by local architects bptw. So local in fact that their main office is almost next door. However, a creek-side walkway at adjacent Caledonian Point – which opened two years ago – has always been gated when I’ve passed over the past two years. Bptw’s former office just along the road also has plans in for housing, which the practice also designed. 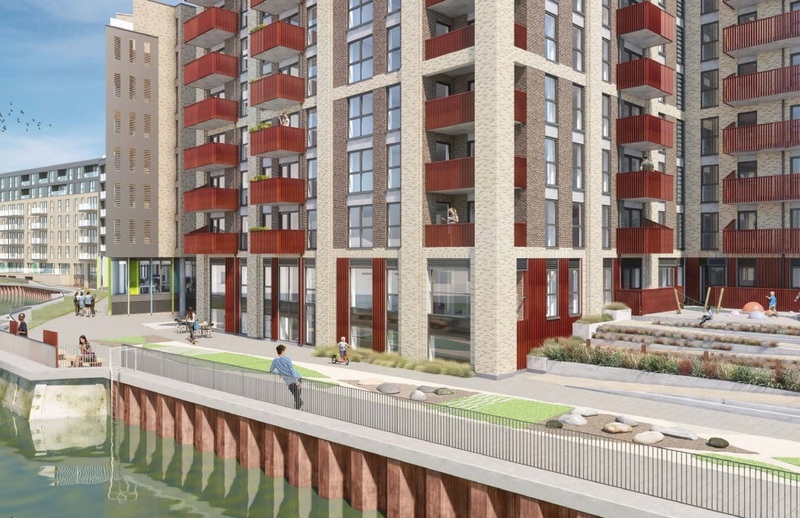 The site is 200 metres from Greenwich DLR and Southeastern station. Non-strategic transport contributions, to cover works including the creation of a new vehicular access, reinstatement of the highway, and relocation of street lampposts. They can do a lot better than this. Time and time again new developments are not being utilised to provide better streets and public spaces to encourage healthier living. Other councils place far greater importance on this. The council’s job scheme GLLaB will probably swallow large sums again instead. There’s nothing wrong with some S106 income going in that direction but the proportion is usually extremely high to the detriment of over areas. What is Greenwich’s median market rent? What is the average Council Rent? You’re right they are often much less than 50%. I was being very generous and using the very top end of the social definition to show how poor the affordable element is in this scheme. The public walkway is always shut when I pass. As a local trades person who trained in the borough I have to say that GLLaB is a waste of money. I’ve had a fair bit of contact with them over the years and it just seems like a pointless service. Yes they can help people write CV’s which is helpful…but that seems to be the extent of it. No large local sites I’ve been on has ever had anyone through GLLaB on it. 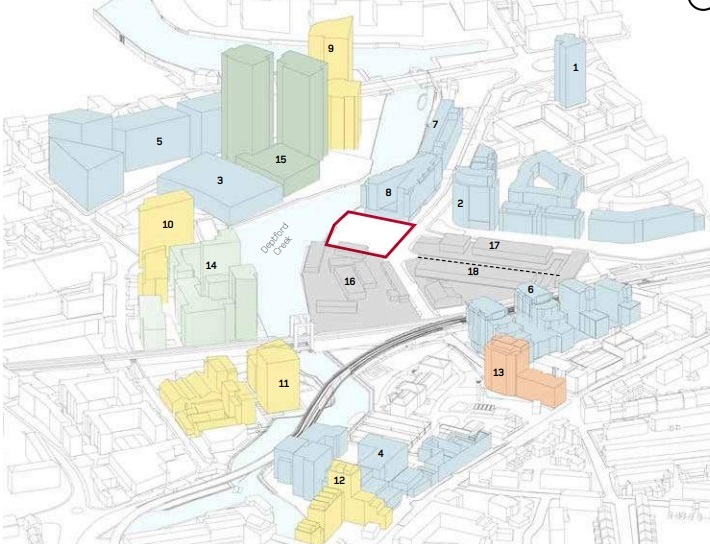 I agree with the idea….but it just seems to be PR for the mass development of the Borough. Also yes, I agree with the ‘affordable’ rent comments made. We all know that percentage of units being held at that rate will slide down to a laughable amount. 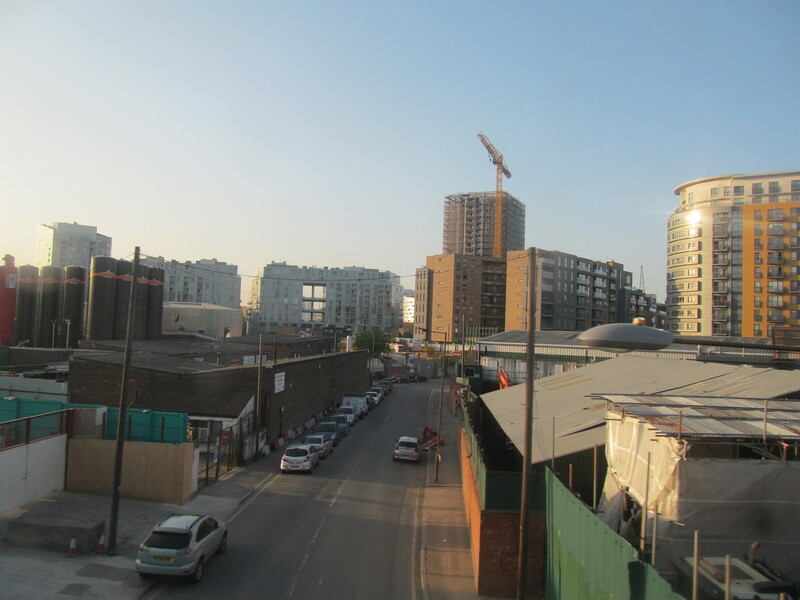 All this development isn’t really benefiting the Borough or the regular people who live in it.